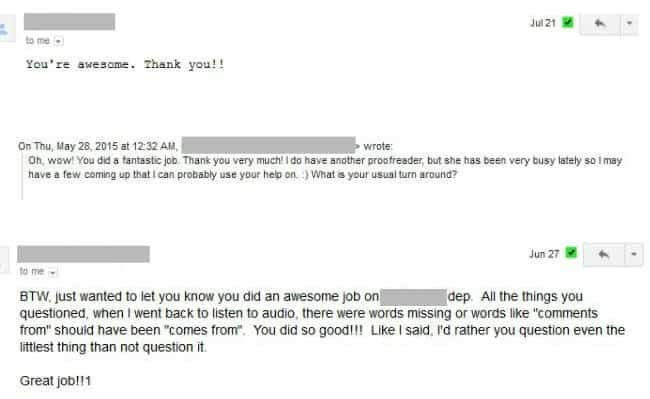 PA proofreaders spend months working through Transcript Proofreading: Theory and Practice™, the one-and-only structured course available that teaches transcript proofreading (see the syllabus). 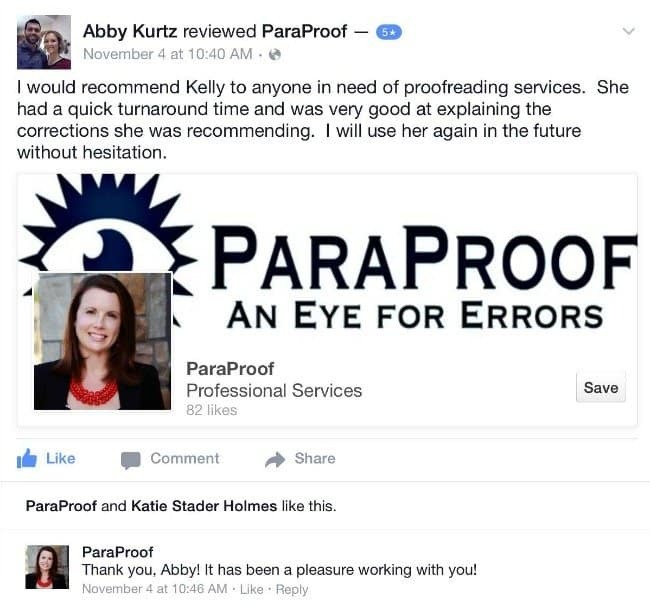 We believe excellent proofreaders need to know more than just grammar and punctuation. 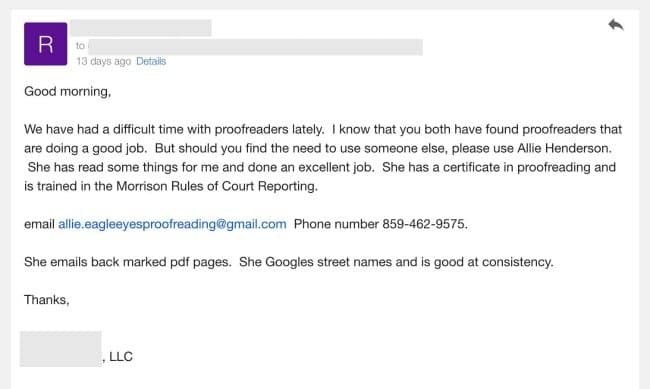 It’s not enough to just take a grammar course at a community college or some random general proofreading course — transcripts aren’t term papers, and proofreading spoken word is an art, not a science that follows the same list of rules every time. 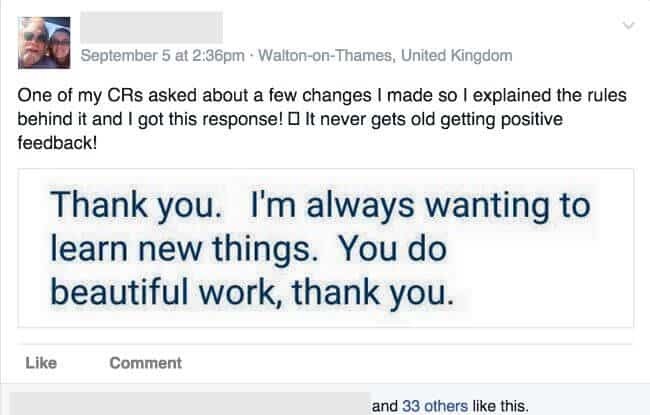 We teach that art here at PA. We teach it from start to finish. 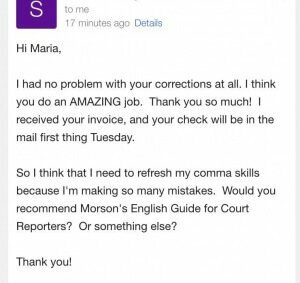 We teach students to put themselves in the shoes of a court reporter: they learn how a steno machine works, how a court reporter does their job, and how a transcript becomes a transcript — and that’s just in Module 1! 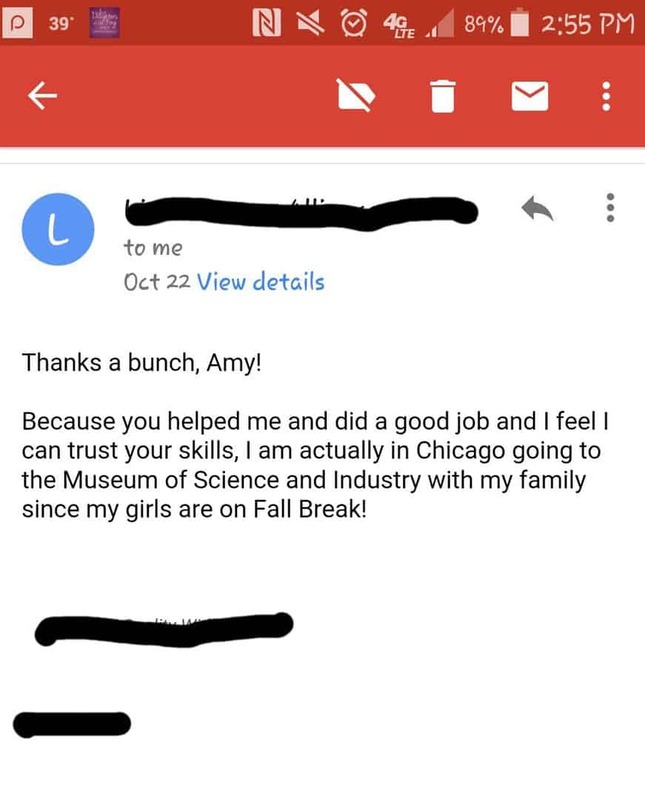 We teach students how to professionally conduct their business and provide excellent customer service. 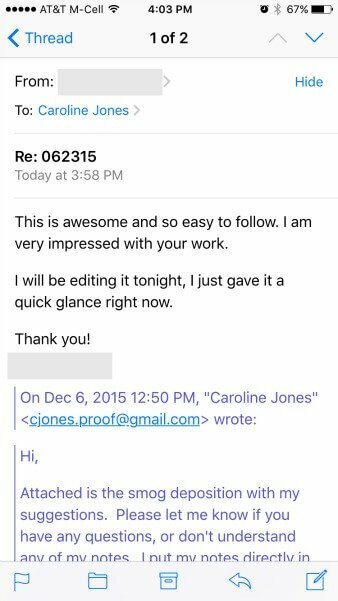 We teach students how to learn each reporter’s preferences and to be extremely thorough in their work. 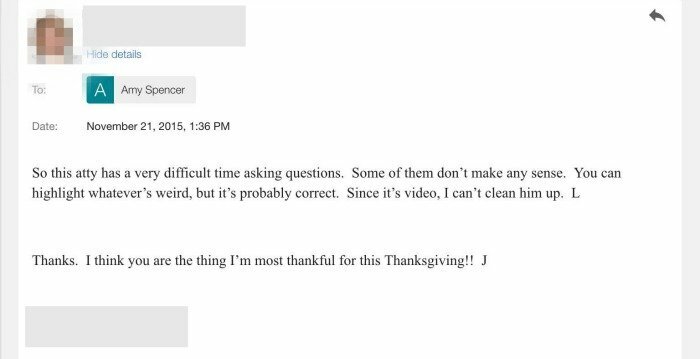 And we test them on everything. 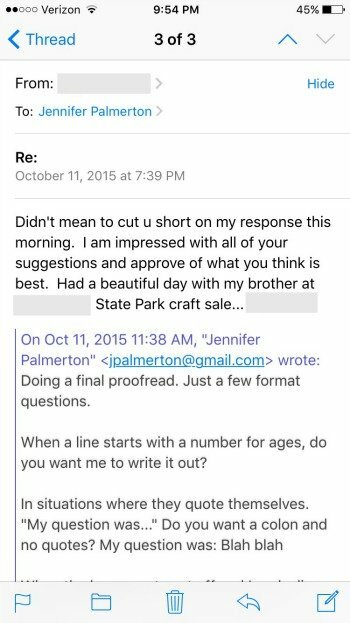 We don’t just teach them to proofread. 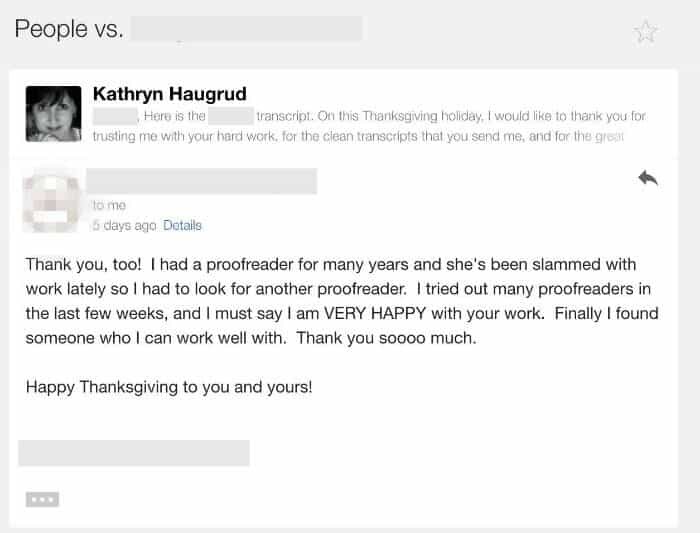 We transform them into transcript proofreaders. 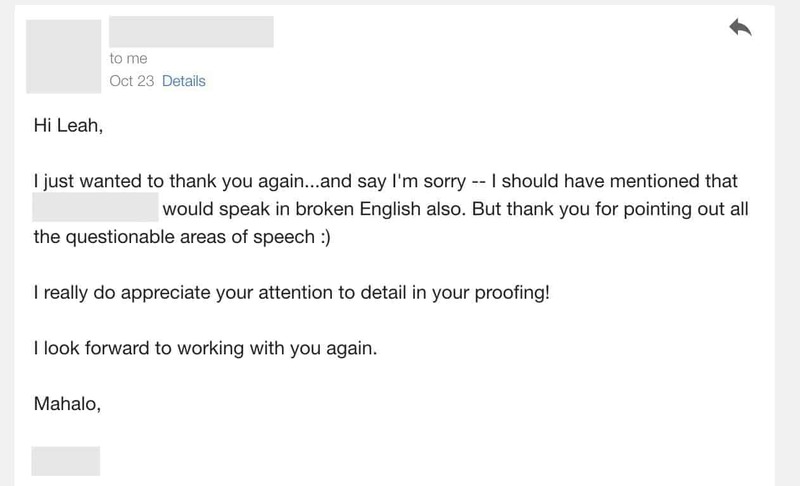 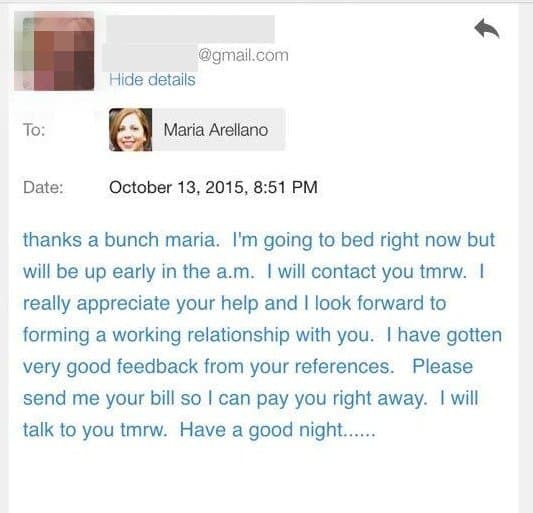 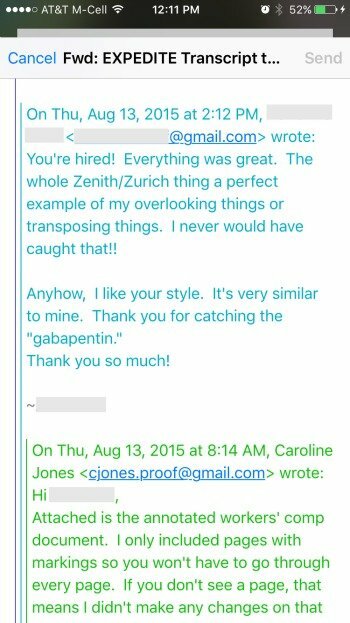 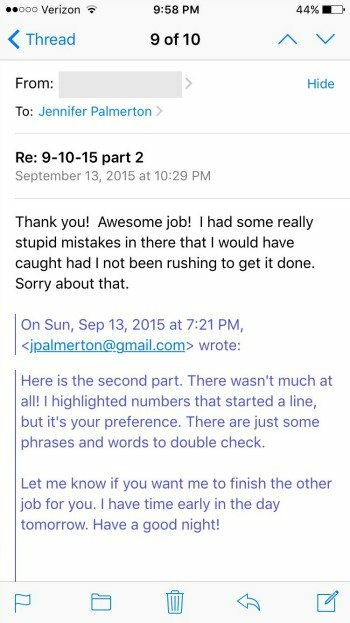 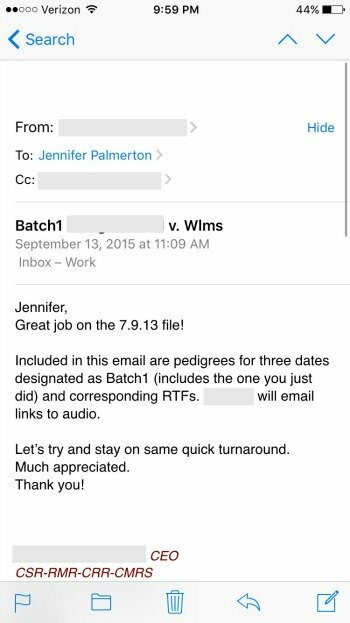 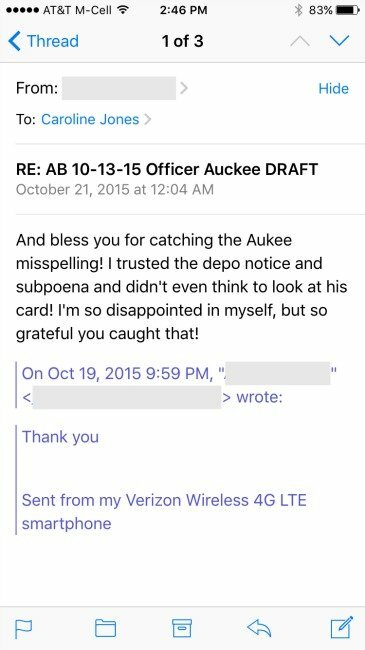 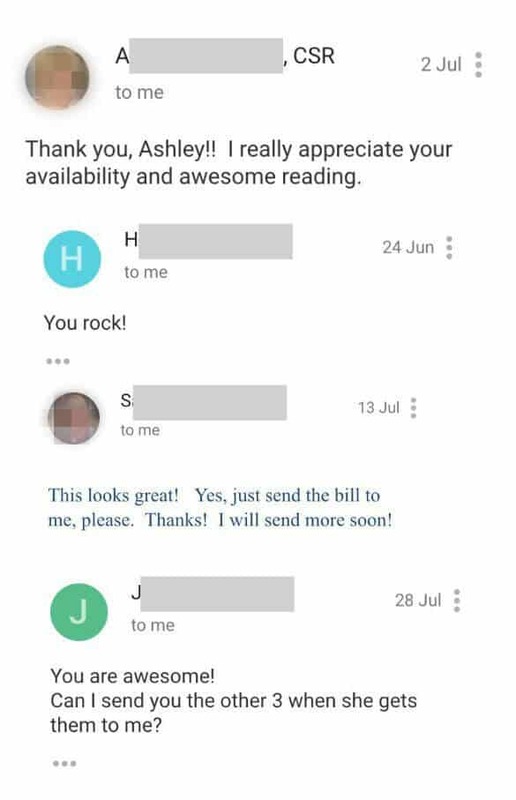 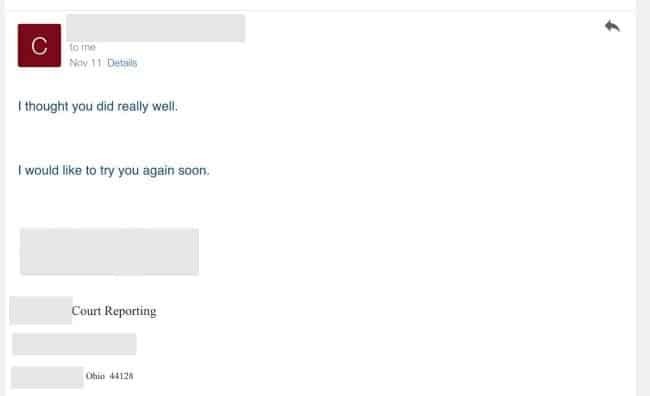 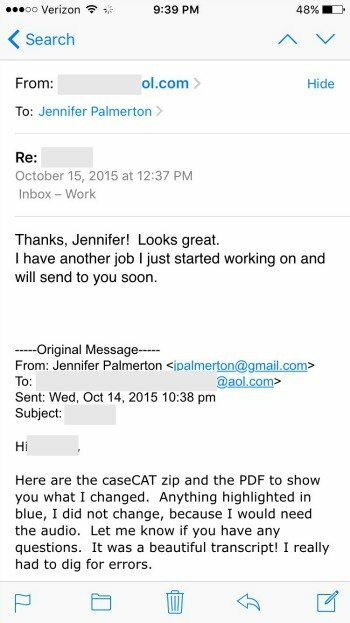 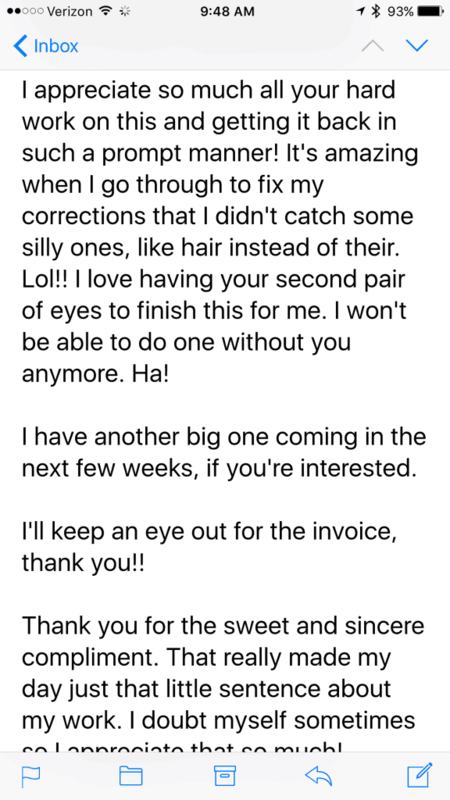 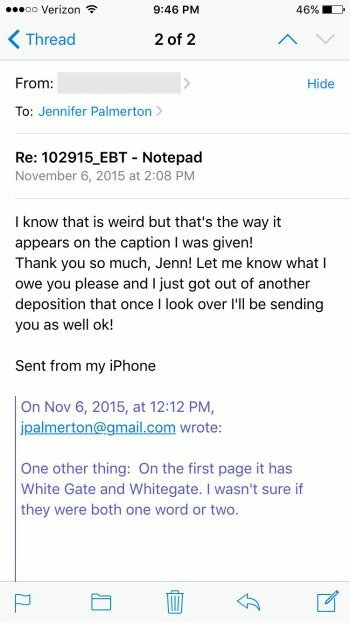 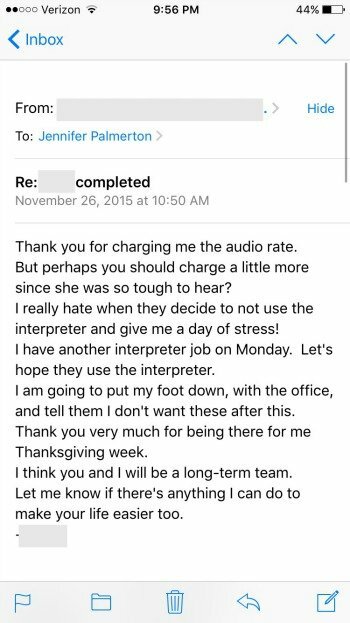 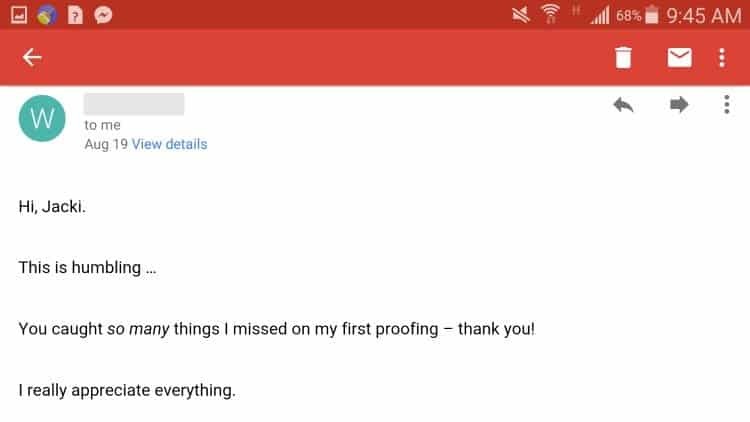 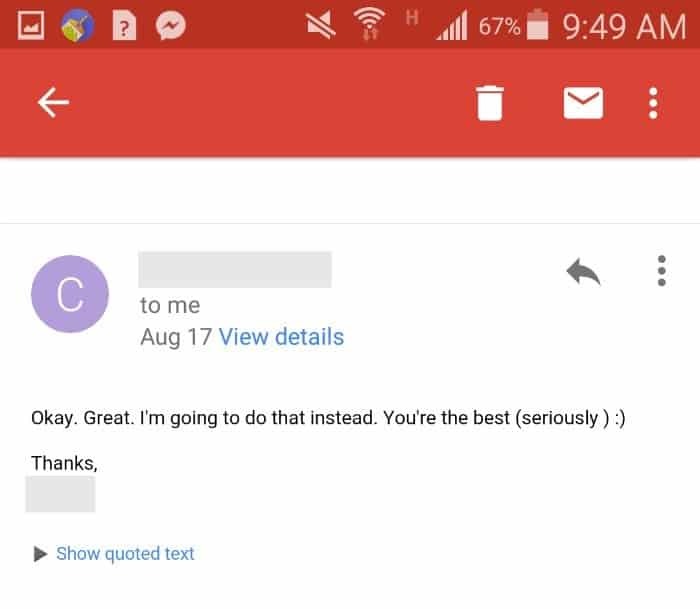 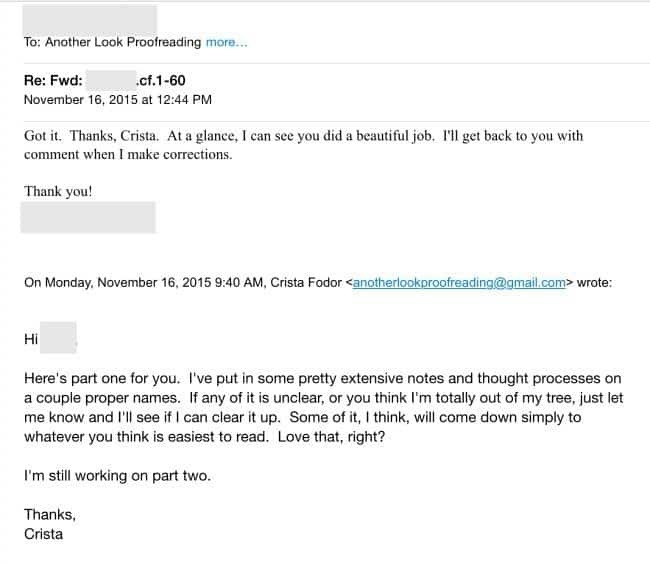 Shared below are screenshots of emails from happy court reporters sent to their proofreaders — all of which are PA grads. 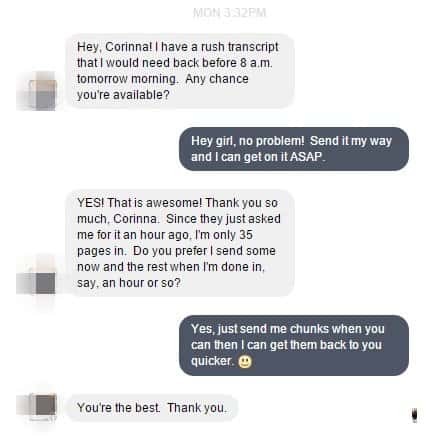 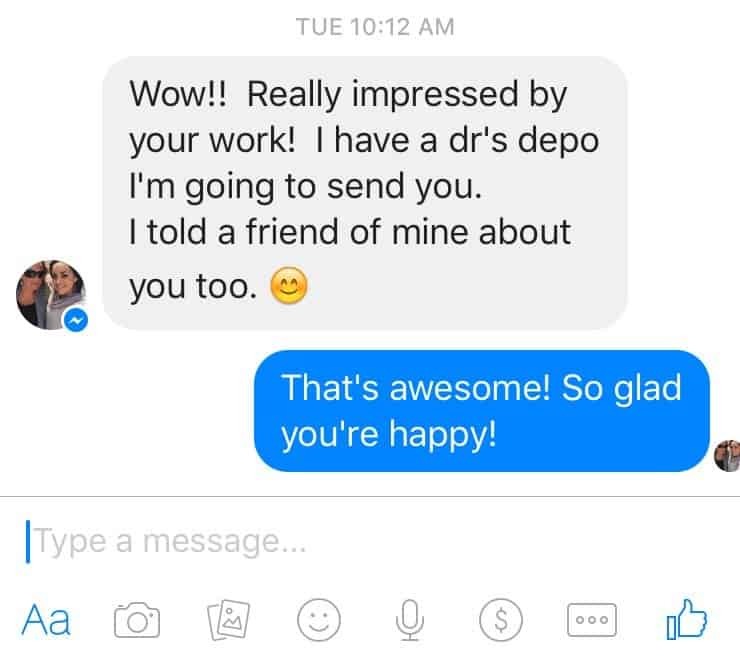 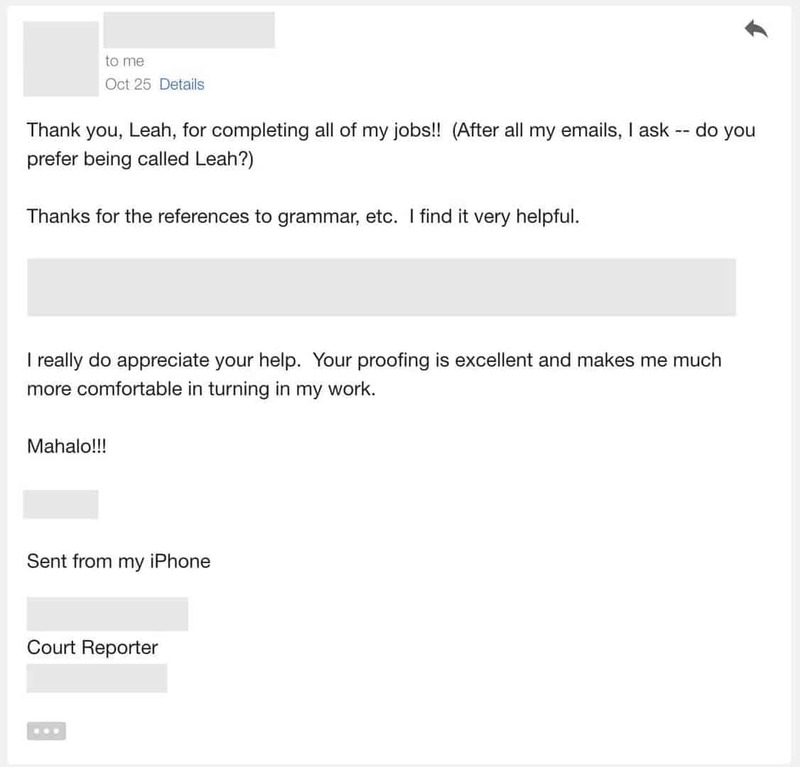 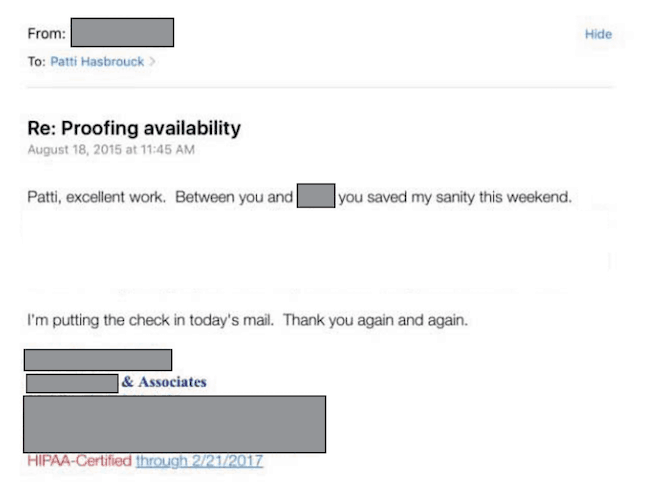 As you can see, it’s not just students who are happy with their training — court reporters are happy with our proofreaders, too. 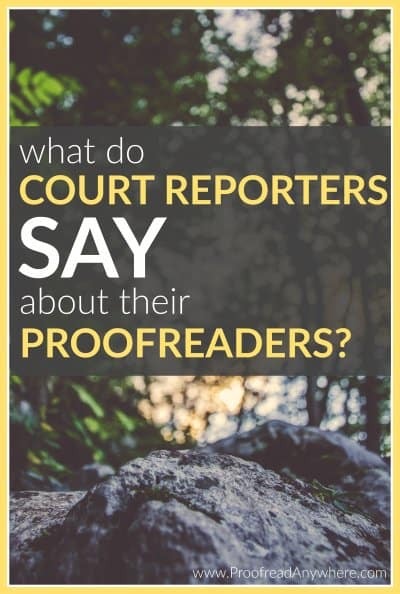 And just in case you were wondering: we don’t make any money off of court reporters using our proofreaders. 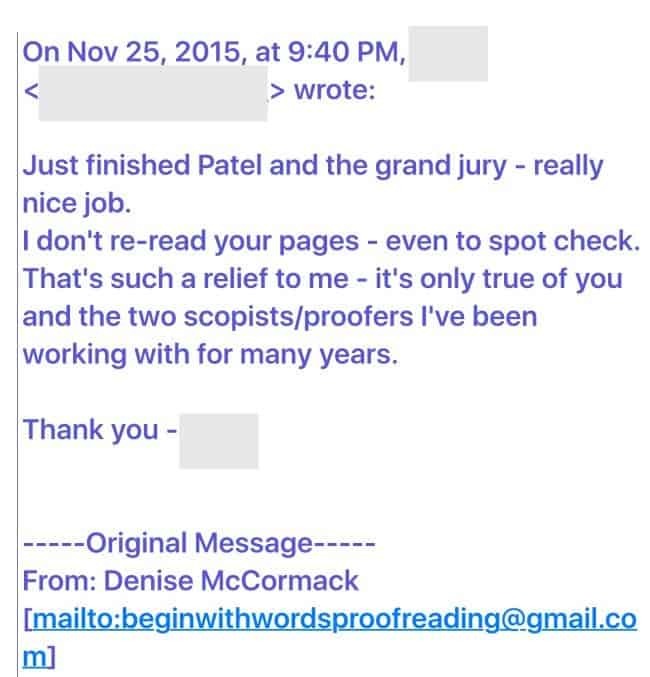 The skills our proofreaders learn in our intensive course are theirs to use and enjoy. 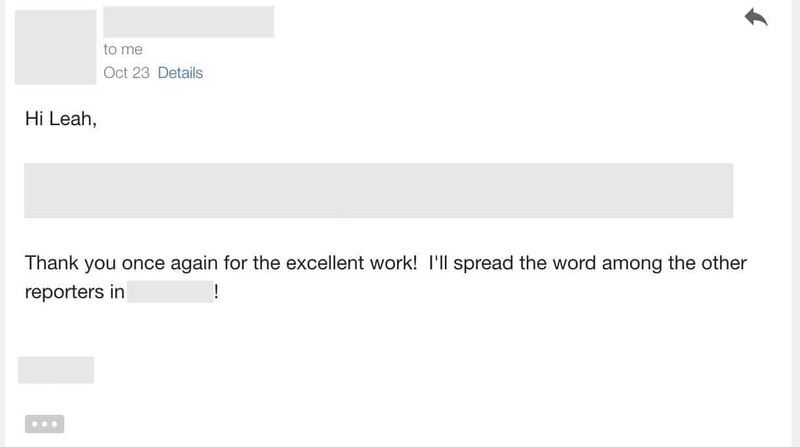 We created this page to showcase them — and to demonstrate beyond any doubt that our program truly does what it should. 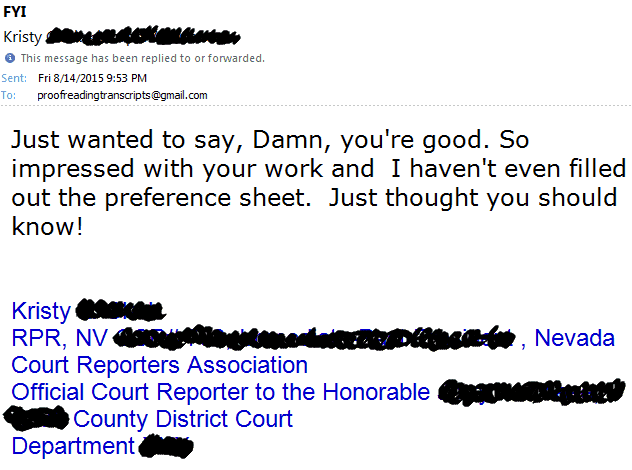 Feel free to contact any of the proofreaders whose reporter feedback is shown here. 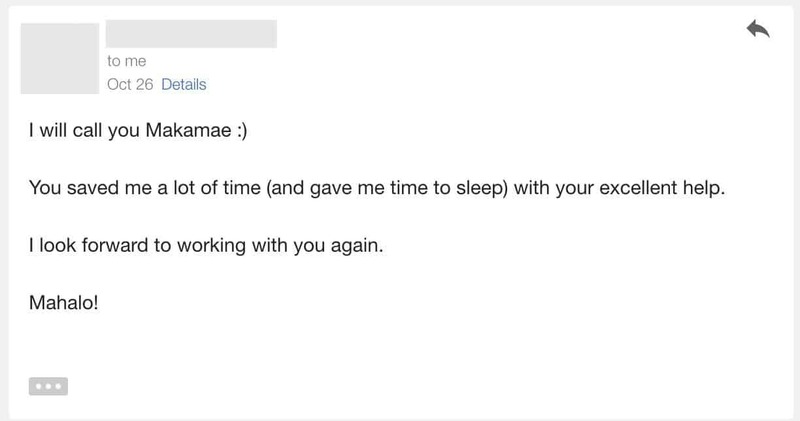 They’ve earned it. 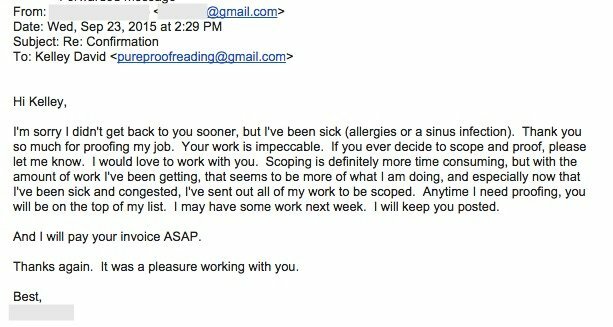 Enjoy 🙂 Oh, and bookmark this page — I’ll be adding to it as often as I can.